If you’re ready to take your cooking to the next level, make more professional meals, or just have an easier time in the kitchen, it’s time for you to get a mandolin slicer. 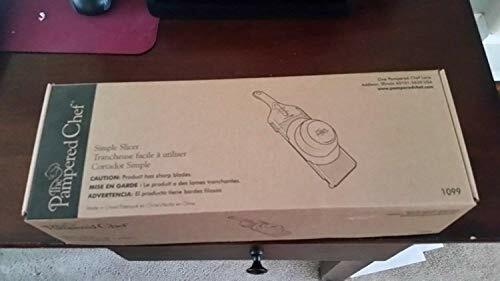 What is a pampered chef mandoline slicer? Perhaps you have seen a mandoline slicer at Wal-Mart and wondered what it does. These incredible tools allow you to get even slices of vegetables, fruits, meats, and cheeses without a fuss. With a sharp blade, food holder, and a steady base, a mandoline slicer can make cooking fun again. When you purchase a slicer, you no longer have to fuss over a kitchen knife and struggle to get even slices of your favorite foods. You can just slide your food across the blade, with your fingers securely within the handguard, and quickly get the pieces you need to make your meal. The two most popular styles of mandolin slicers are the class V-style with fold-out legs and the smaller paddle-style mandolin. Both can offer different benefits and features for the user. Some of the best mandoline slicers on the market today come from Pampered Chef simple slicer range. To choose the right tool for you, check out our mandoline slicer reviews below. We will look at features, benefits, and downsides of two mandolin slicers. In 1980, Doris Christopher founded the Pampered Chef company with one goal in mind: to make cooking better. 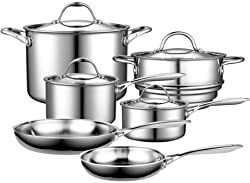 In the decades since, Pampered Chef has produced a wide range of products that work hard so that you don’t have to. It’s the company’s mission to help you have a no-fuss cooking experience. In today’s world, people rarely have time to prepare, cook, and enjoy a meal at home. However, Pampered Chef’s life of powerful tools aims to change all of that. With a food slicer by your side, you can quickly make enjoyable meals that you can be proud of. Pampered Chef is now part of Berkshire Hathaway, which means they directly sell their high-quality products. In fact, if you fall in love with your Pampered Chef mandoline slicer, you can even become an independent consultant yourself. When you purchase a food and vegetable slicer from Pampered Chef, your product comes backed by their years of quality testing. In the years since the company’s inception, they have taken customer feedback seriously to create better products. Pampered Chef has a team of home economists, scientists, chefs, dieticians, and more working in their test kitchens. Each new product goes through rigorous testing in those kitchens to be sure that they truly make cooking in your home easier. You may have heard of Pampered Kitchen through one of their 1 million shows throughout the United States each year. 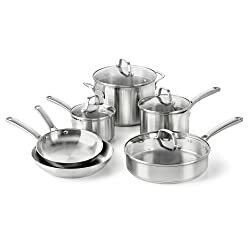 While this is the primary way Pampered Chef sells their products, you can also find them on their website and Amazon. You can feel great about your Pampered Chef purchase. This company gives a lot of money to charities that fight hunger, breast cancer, and more in the United States. It’s one way the company gives back to the community that has allowed it to prosper. It’s time you had more meals at home. Take back your meal times with Pampered Chef products. The blade adjusts to three thicknesses - 1/16", 1/8" and 3/16"
use over a bowl or by hand - Dishwasher-safe. The first Pampered Chef mandoline slicer to check out is their Ultimate Mandoline®. This classic V-style mandoline comes with interchangeable blades that give you plenty of options for cutting. It also includes many safety features that ensure that your food is the only thing that gets cut. The interchangeable blades include a straight blade that you can adjust for either 1/16-inch or 1/8-inch slices. You also receive a special blade meant for soft foods like tomatoes and cheeses, a crinkle-cut blade, and a grating blade. Each of the edges, apart from the grater, remain completely flat until the food holder comes over it. This helps guard you against cuts. The extra-wide food holder also protects your fingers as you quickly slice. The non-skid feet and bottom notches help stabilize the tool as you slice as well. When you’re done, you can put this Pampered Chef mandoline slicer in the dishwasher for easy cleaning. Then, just store the blades in the storage box, which is included in your order. This product is not eligible for the company’s return policy and is more expensive than its little brother, the Simple Slicer. Be sure to keep these things in mind if you are budget-conscious. Some users have said that it takes a few uses to get the hang of the Ultimate Mandoline®. However, after a few trials, most people learn to use it well. It can also take some time to change the blades, especially because you must do so with caution. This is a great mandolin food slicer for anyone who wants many slicing options and doesn’t mind changing the blades. The Pampered Chef Simple Slicer is the smaller, paddle-style slicer that gets rave reviews from users of all kinds. At a lower price point than its big brother, this Pampered Chef mandoline slicer is a great option for beginners. This slicer comes with one blade that is integrated into the design, so you never have to worry about cutting yourself while changing blades. However, this means you can only get a straight cut from this slicer. You can choose between 1/16-inch, 1/8-inch, and 3/16-inch thickness. With non-skid feet, you can put this slicer over a cutting board or bowl. It will stay in place as you slice without jolting or slipping. The extra-wide hand guard also helps keep your fingers out of the way of the sharp blade. When you’re done slicing, you can place this mandoline food slicer in the dishwasher. You don’t have to worry about taking apart the blade, either. Tidying up is a cinch. Once it’s dry, simply put the safety lock on and put into storage. The lock will keep any curious fingers from getting cut while the tool is not in use. This slicer is small in size so that it won’t take up much room in your kitchen. Its small size can be a problem for some users. You may have to chop your food into small pieces before using this mandoline. Some users report that it takes some time to get used to this slicer, especially for beginners. However, most people quickly pick up the technique. This slicer does not come with a carrying caddy. However, it may not be necessary thanks to the locking feature. Although the Simple Slicer is less expensive that the Ultimate Mandoline®, some people have found better deals on similar slicers from other brands. The Simple Slicer is great for inexperienced cooks who want to incorporate mandolin slicers to make cooking more efficient and fun. Which Mandoline Slicer is Right for You? There is no one slicer that is perfect for everyone. To choose the best mandoline slicer for you, there are a few things you should consider. Answering these questions can help you pick between these two great options. First, think about how you will use your mandoline. Will you want to make crinkle fries and grate things with it, or are you just looking for a simple vegetable slicer? Because the Simple Slicer only offers one cutting style, choose the Ultimate Mandoline® if you want more variety. Of course, cost matters as well. If you are on a tight budget, you might wish to choose the less expensive Simple Slicer. Without a sale, the Ultimate Mandoline® can cost over $70. However, the simple slicer only sets you back $32. That’s a big difference, but many people find the extra options are worth the money. Carefully consider whether you are willing to switch out blades manually. While the Ultimate Mandoline® offers many options, you have to switch out the blades yourself. Pampered Chef has made this as safe as possible, but there is still some risk that you will cut yourself. Finally, think about how much storage space you have for a mandolin. If your kitchen has plenty of extra space, the Ultimate Mandoline® will probably be just fine. However, if you’re short of extra space, the Simple Slicer is a better choice. 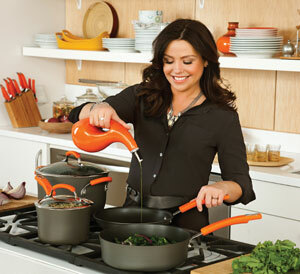 Whatever you choose, your new tool is sure to make cooking faster and more fun than ever before. These two unique mandoline slicers can bring some joy to your kitchen and help you love to cook. You can quickly get even slices of your favorite foods without the hassle of a kitchen knife. Now, get slicing! Wusthof Knives Review – What Makes Wusthof Knives Unique? 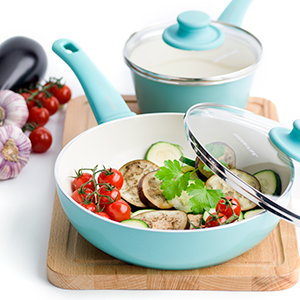 Pioneer Woman Cookware Reviews – How Does It Work?